Haus Sigrid price per day from € 40 . Landhaus Frank price per day from € 140 Landhaus Frank offers a modern and individually decorated Alpine-style building in Bad Kleinkirchheim, 100 metres from the Maibrunn Cable Car and 400 metres from the Sonnwiesen Cable Car. The apartment comprises an open-plan kitchen which is integrated in the living room featuring a sofa, satellite TV and a CD player. Kirchheimer Almhaus Kirchheimer Almhaus is located in Bad Kleinkirchheim. Featuring a bath, private bathrooms also come with a bath or shower. If you feel like visiting the surroundings, check out Sonnwiesenbahn II (400 metres) and Sonnwiesenbahn I (900 metres). 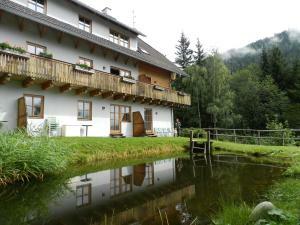 Ferienhäuser Brunnleiten Located in a quiet area, a 4-minute drive from Bad Kleinkirchheim centre and 200 metres from the Nockalm Cable Car, Ferienhäuser Brunnleiten offers self-catering accommodation with free public WiFi, a spacious garden, free ski storage and a sun terrace. The holiday homes at the Brunnleiten come with a balcony and a terrace, a well-equipped kitchen and a flat-screen TV with satellite channels. Ferienhaus SARA The accommodation will provide you with 4 bathrooms, a TV and a balcony. There is a full kitchen with a dishwasher and an oven. An array of activities can be enjoyed on site or in the surroundings, including skiing, golfing and cycling. 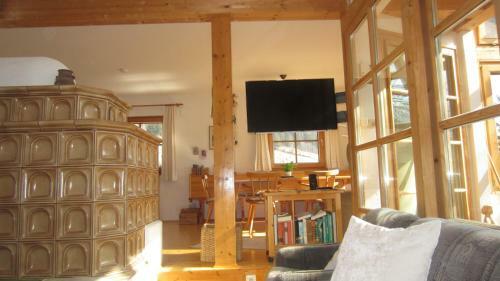 Ferienhaus Nocki price per day from € 50 Ferienhaus Nocki enjoys a quiet location amid a garden with an outdoor sauna, just 400 metres from the nearest lift of the Bad Kleinkirchheim Ski Area. Fresh bread rolls can be delivered to your apartment every morning on request. Skyloft Bergnest price per day from € 120 Opening in April 2013, Skyloft Bergnest is an Alpine-style Holiday home in the centre of Bad Kleinkirchheim, 200 metres from the Maibrunn Cable Car. A free ski bus stops 50 metres away, and a tennis court and the closest restaurant are 100 metres away..
Haus Ilse price per day from € 56 Bad Kleinkirchheim’s Haus Ilse is a 5-minute drive away from restaurants, shops, thermal baths, an ice skating rink and a golf course. 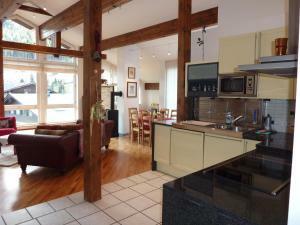 The property has a garden, tree house, swing and table tennis table. The lakes Millstättersee and Brennsee can be reached by car in 20 minutes. Residence Margerithenweg price per day from € 90 Residence Margerithenweg offers apartments with 2 bedrooms, 2 bathrooms, a kitchenette and dining area. Bad Kleinkirchheim village centre is 350 metres from Residence Margerithenweg. Bad Kleinkirchheim Golf Course can be reached by car in 4 minutes..
Haus Othmar Schabuss price per day from € 70 Haus Othmar Schabuss enjoys a hillside position in the Bad Kleinkirchheim Ski Area, 3 km from the ski lift. It offers rooms and apartments with mountain views and free WiFi. The Kaiserburg Golf Course can be found 1 km from the property. From 09 January to 04 March 2016, a ski pass for a child up to 12 years old is available directly at the hotel for EUR 1 if at least one accompanying adult buys a ski pass for the Bad Kleinkirchheim-St..
6. At the interchange Knoten Spittal-Spittal Nord, keep left and follow signs for B98/Millstätter See/WasserLeben. 10. Turn left onto St. Oswalder Str. 11. Turn right onto Aigner Weg. 12. Turn right to stay on Aigner Weg. Destination will be on the left. Ski resort Afritz, downhill pistes: 16km. 11 km from town of Bad Kleinkirchheim. 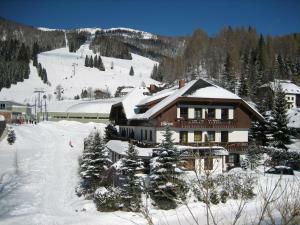 Ski resort Alpendorf. 72 km from town of Bad Kleinkirchheim. Ski resort Abtenau, downhill pistes: 80km. 87 km from town of Bad Kleinkirchheim.